Indeed, the industry is going from strength to strength following projections that timber exports this year will once again reach record growth on the back of demand from India and other potential new markets. This is perhaps why Malaysia remains one of the top exporters of furniture in the world. According to Malaysian Timber Industry Board (MTIB) deputy director-general Norchahaya Hashim, the strategy of penetrating new markets would also cushion the impacts of global uncertainties, noting that the US-China trade war, US sanctions on Iran and the impact of Brexit on European Union’s economic growth could affect demand for local timber products. “We would also continue to push for export of timber products into the US and Japan, with 17 per cent of our products going to the US and 18 per cent exported to Japan,” she said. Malaysia’s exports of timber and timber products stood at RM20.45 billion as at end-November 2018. Norchahaya also point out that MTIB was optimistic of achieving last year’s target of RM23.22 billion. However, she forewarned Malaysia would not be able to achieve its target of 60 per cent high value-added products exports and 40 per cent primary products exports as outlined in the National Timber Industry Policy 2009-2020 (NATIP). As per the NATIP publication, it was revealed then that more emphasis will be given to higher value-added downstream activities that are expected to generate 60 per cent of the export earning valued at RM31.8 billion. “These activities include the manufacture of wooden and composite furniture products, panel products such as medium density fibreboard, blockboard, plywood, particleboard, laminated veneer lumber and engineered wood products. “It is envisaged that the remaining 40 per cent (RM21.2 billion) will be derived from export of primary processed wood products such as logs, sawntimber and plywood,” the first edition of the publication read. On the value for imported timber and timber products, Norchahaya said that for 2018, it might increase to about RM5 billion from RM4.68 billion chalked up in 2017 due to higher importation of raw materials from China. She added that the country’s innovation in alternative raw materials is still at an infancy stage. The Department of Statistics Malaysia’s external trade statistics for December 2018 revealed that timber and timber-based products were one of the main products which contributed to the increase of exports on a year on year basis (y-o-y). “Timber and timber-based products, which contributed 2.2 per cent to total exports, recorded an increase of RM8.7 million or 0.5 per cent to RM1.8 billion,” the press release read. However, timber and timber-based products contributed to the decline in exports on a month on month (m-o-m) basis. 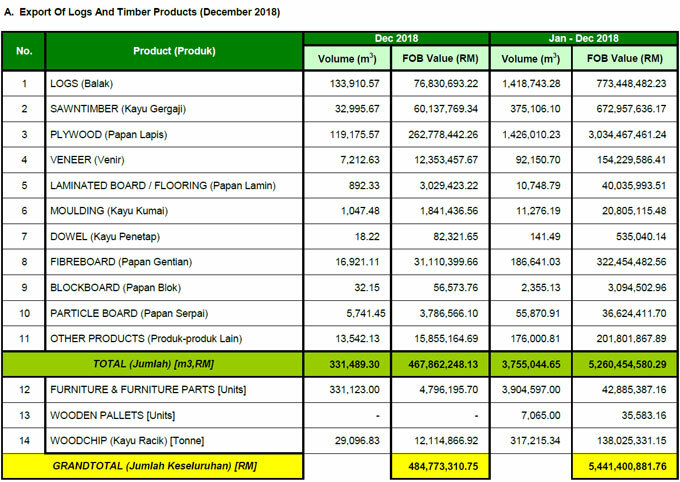 Timber and timber-based products fell RM111.7 million (down 5.7 per cent) from RM2 billion the previous month. According to Minister of Primary Industries Teresa Kok, the timber industry has for decades played an important role in the socioeconomic development in this country. “The timber industry has become the main contributor to the country’s export revenue. Malaysian wood and wood products especially furniture has been exported to over 160 countries around the world. “The timber sector also provides employment to about 240,000 workers and as to date there are about 3,500 number of mills still in operation,” she said in her remarks on the MTIB official portal. In Sarawak, the Sarawak Timber Industry Development Corporation (STIDC) recently revealed that the state recorded a decline of 11 per cent in timber product exports last year, from RM6.13 billion in 2017 to RM5.44 billion. According to STIDC general manager Hashim Bojet, 91 per cent of exported products last year comprised primary industry products like veneer (RM3.19 billion), logs (RM773 million), sawn timber (RM673 million) and medium-density fireboard (MDF) at RM332 million. Hashim said that timber production from natural forests continue to show a downward trend, with 5.7 million cubic metres produced in 2017 compared to 10 million cubic metres in 2010. “Timber production from natural forests is expected to continue decreasing at 1.7 million cubic metres by 2030,” he also said, adding that such development would affect timber downstream activities in the state. He had highlighted that given such development, forest plantations would need to target one million hectares and produce four million cubic metres annually for five years to enable sufficient raw materials for downstream activities in the future. As the production of timber from natural forests continues to be on a decline, it has been highlighted that innovation is key to the sustainability of the timber industry. On this, Chief Minister Datuk Patinggi Abang Johari Tun Openg has remarked that the Sarawak timber industry has to transform structurally from primary processing to producing higher value-added products like bioplastic, biofuel, pulp and paper, engineered wood and furniture. Abang Johari believed that for this transformation to materialise, it is necessary and vital for the industry to embark on changes in a drastic and innovative manner. 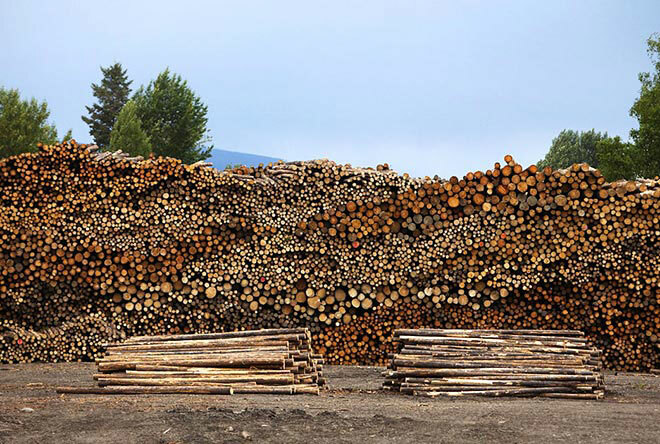 “As the log production from natural forest is declining, the industry, therefore, would need to undertake the retooling and re-engineering process within their mills and timber operations,” he said. Abang Johari noted that by the year 2030, about 60 per cent of the export value of timber and timber products in Sarawak will be from high value products like engineered wood and furniture. Meanwhile, Deputy Chief Minister Datuk Amar Awang Tengah Ali Hasan said he hoped the timber industry players would continue to work hand in hand with the state government to strengthen forest management, enhance environmental protection and accelerate the development of the timber-based industries to a higher level. Awang Tengah also said the timeframe for Sarawak to achieve one million hectares planted forest has been revised from 2020 to 2025. 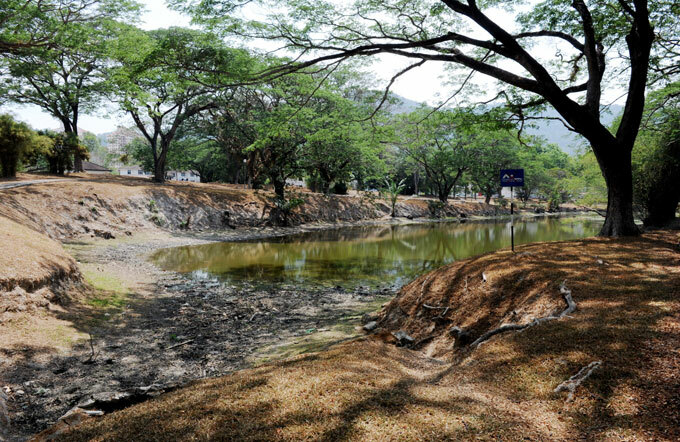 The progress has not been encouraging with only 420,146 hectares planted to date, he noted. He pointed out the state government has embarked on the industrial forest plantation to ensure that the state’s timber industry will have adequate supply of raw material for years to come. For that purpose, he said the state government had issued 43 licences for industrial forest plantation with a total gross area of 2.5 million hectares since 1997. With the expected increase in production of logs from industrial forest plantation in years to come, Awang Tengah highlighted that it is necessary for the industry to realign and retool their manufacturing facilities to process logs from industrial forest plantation. He further highlighted that apart from that, the industry can capitalise on digital technology to conduct business transactions, product promotions, networking and data management which could reduce cost of doing business and enhance competitiveness. According to Awang Tengah, the Sarawak government will continue the policy of allowing importation of log species not available locally in order to enhance the value of the products for export market. He went on to explain that such policy shall continue unless the majority of the timber players are not in favour with it. Awang Tengah – who is also Second Minister of Urban Development and Natural Resources and STIDC chairman – recently said the government had laid down effective policies to spur the growth of the downstream timber processing industry. “Among others, the log quota policy, timber processing zones, royalty incentive, integrated timber complex and industry forest plantation were introduced,” he added. The timber industry is reportedly a major contributor to the state economic development which created more than 100,000 job opportunities. “STIDC will continue to carry out promotional activities especially timber selling missions and participation in international exhibitions in order to strengthen and expand our existing market as well as to develop new market,” he said. Towards the end of last year, Sarawak is reportedly looking to Finland for its afforestation model used in its own sustainable forestry management. According to Natural Resources Institute Finland’s (Luke) Finnish forest statistics for 2018, Finland has a total of 2.7 million hectares of protected forest land and poorly productive forest land (12 per cent of the total area of forest land and poorly productive forest land). These statistics were related to the situation at the beginning of 2016. Abang Johari noted that attaining sustainability will boost market confidence in Sarawak’s timber industry being environment-friendly. “We are studying the model in Finland. Finland is good at afforestation – the planting of trees – but the weather there is not conducive to the timber industry. It takes the trees about 70 years to reach maturity, compared to here, which takes about six years to harvest,” he explained. “Meaning, what you can do now is afforestation – we plant timber. I have told the Forest Department that for every tree felled, one has to be planted – meaning that is sustainable. The chief minister believed that once Sarawak had that ‘sustainability brand’, the market would be open to its timber products. 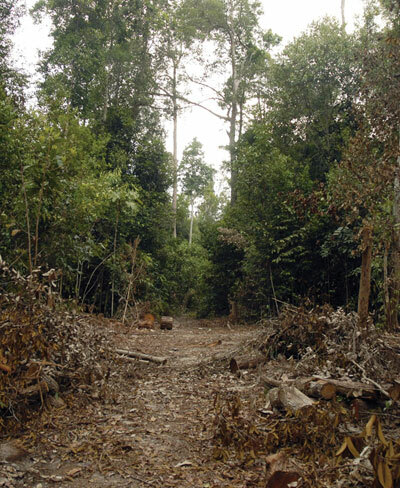 On another note, Forest Department Sarawak’s (FDS) director of forests Hamden Mohammad said that it is committed to ensure that all Long-Term Forest Timber Licenses (F30) will achieve forest management certification by the year 2022. “The certification is essential to safeguard the state’s forests with sustainable management and to provide a vast international market for these timber products,” he said on the FDS official website. According to Kok, the SPV would assist Bumiputera companies to get contracts to supply timber products to large and multinational corporations in the construction sector. “This will directly promote the use of timber products in the industry,” she said, adding that the government had also set several key performance indicators for the purpose of monitoring the programme. Bumiputera entrepreneurs need to be more creative and innovative as well as to persevere in overcoming challenges in the timber industry, Kok had also advised. “The development of timber industry is important as the sector contributed significant income to the country and in generating jobs for the people.